I allowed my very first horse to choose me. To tell me that he trusted me to be his leader. Not the other way around. It was his choice. And when it happened everything changed. For me, and my horse. He was no longer my horse. I wasn’t his owner. The first line of the movie Hildago said it right. Cash was now my little brother. And I promised him that day that he would have the best life I could possibly give him. And I meant it. The problem was I had no idea what that best life was. But no stone would be left unturned because I now cared deeply about this horse and I would be asking everywhere I went how do I make his life better. Not how do I make my life better. My life would get better when his did. And so it is with all of our horses. They now have the very best life we can possibly give them. They live like horses. I asked why a lot. Obviously not us when we acquired our first horses, nor the experienced experts who were advising us with phrases like: This is the way it’s always been done! Our guys and girls all lived in a manner diametrically opposed to what their genetics were calling for. They lived in tiny little stalls where they could move at best 800 steps in a 24-hour day as opposed to the 8-20 miles a day their genetics call for. And we ultimately discovered that such a huge differential was not just affecting physical structure, it was affecting their digestion, their breathing, the health of their feet, and thereby immensely affecting their stress levels which, as medical science has finally come to realize, substantially affects all of their health. Their diet was mostly sugar in a bag, which we discovered is the absolute worst thing one can feed a horse, especially a confined one. Molasses is part of virtually every packaged feed in existence. Every grain in the same bag turns to sugar the instant it gets inside the horse. Just the stress of a sugar-filled diet and being cooped up in a stall can cause or lead to ulcers, colic, laminitis, reduced blood circulation, digestive issues, lowered immune system, and, of course, each and every stall vice in existence. 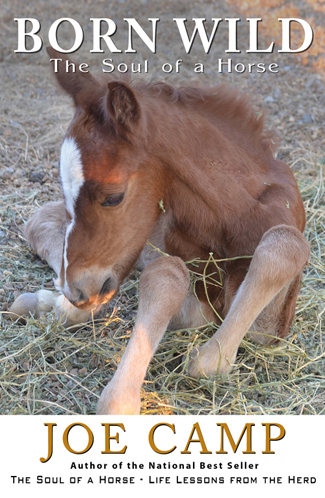 As mentioned above, horses are genetically programmed to eat grass forage (real grass or grass hay), little bits at a time, up to 18-20 hours a day. The horse’s stomach is programmed to release acid around the clock. Chewing grass forage releases acid-neutralizing saliva. And when that grass forage is not dribbling through the stomach into the hind gut on a regular basis the acid has nothing to work on but the insides of the horse itself! Unlike humans whose digestive acid turns on and off depending upon whether food is present, the horse’s never stops. So the grass forage needs to be there. Free-choice. Around the clock. And then there’s the herd. We discovered that a horse in a stall who cannot commune with other horses gains yet another level of stress to endure. The purpose of the herd for a prey animal is safety and security. Being with other like animals is quite literally a safety net. There are more eyes to see trouble coming. And usually the dominant member of the group is also the number one watchdog. Being deprived of that comfort, at some level, breeds huge amounts of stress. Again, this is genetic. It’s not something they get over with time. And please don’t ever let anyone tell you that horses should never eat green grass. Recently there have been a few voices out there claiming just that because the wild horses they studied were in an arid area of the Great Basin. But such a remark is scientifically incorrect. Horses have only been in the Great Basin for approximately 300 years. The wild horse evolved for those millions and millions of years in the American west from Texas through the Great Plains’ grasslands to the San Joaquin Valley and northward to the grasses of the Dakotas, Wyoming, Montana, Oregon and Washington. Horses are born to eat grass. Just be sure that when yours do, like in the wild, there are plenty of unfertilized native grass choices as well as other choices like weeds, brambles, berries, and trees so they can balance their own sugars which they are genetically capable of doing (see Horses Were Born to Be On Grass and Horses Without Grass). On and on it goes. 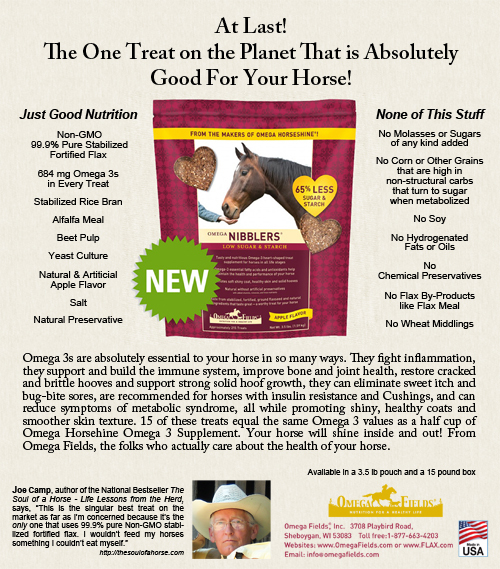 Building the horse’s immune system is the singular very best thing you can do for a horse’s health and happiness. And building the immune system begins with eliminating stress. In other words, living the wild horse lifestyle with diet, movement, feet, and blood circulation as close as your specific circumstances allow to the lifestyle the horse would be living were he or she in the wilds of the American west where he or she evolved. I know, I know. So many have told me “I have no choice but to board my horses.” Or “I simply don’t have any room for them to be out.” And all I can say is do the very best for your horse that your circumstances allow. Find a way. Or perhaps don’t have a horse. As mentioned earlier, we knew none of this a mere ten years ago when we made the big leap into horses without a single clue. Maybe it helped, as they say, to come in with a clean plate. No baggage. No knowledge. Just an obsessive and compulsive urge to offer our new family members the very best life that we could. That urge-turned-insane-quest (see Why Relationship First Works :) not only culminated in our herd living a life very close to the one they were genetically programmed to live, it spawned our first two books, The Soul of a Horse – Life Lessons from the Herd, a National Bestseller thank you so much, and the sequel, an Amazon #1 Bestseller Born Wild – The Soul of a Horse, which picks up where “Soul” left off. 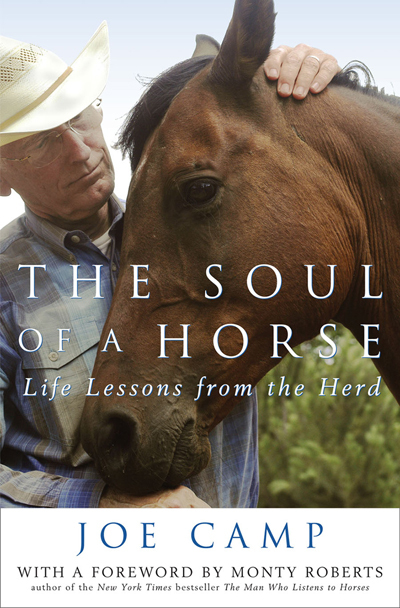 Together these books have changed the lives of thousands of horses and people all across the planet (read about Happier Healthier Horses). For which Kathleen and I will be eternally grateful. When you start where we started and really push the envelope there’s going to be a lot of stumbling around, a bunch of wrong turns, botched efforts, and, yes, stooopid mistakes, thankfully referred to as humor. But, the trip has been so worth it and we are ever grateful to God for the opportunity to help make this planet a little better than we found it.